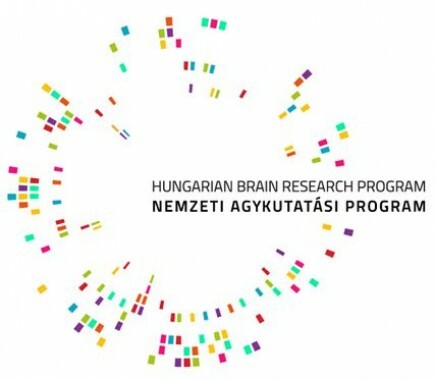 Researchers of the Family Dog Project at the Department of Ethology in Eötvös Loráns University (ELTE) have always been committed to a better understanding about our best friend, the dog, and to help creating harmony in our everyday interactions by scientifically exploring the relationship between the two species. In this regard, ethology (the science of animal behaviour) is not just basic research: even modern, humane dog training methods have gained much from the findings of ethologists, thus science has become an important tool to improve the welfare of dogs. Now, members of our research group are opening new perspectives in this field: one of the world’s first canine tissue banks has been launched by the Family Dog Project. This endeavour will provide new opportunities and possibilities in science and veterinary medicine with the aim to provide longer and healthier lives for our canine friends. What is a tissue bank good for? A tissue bank is a location where biomedical tissue is stored under cryogenic conditions. The main aim of tissue banks is to collect tissue samples for scientific and medical research and education for the benefit of both humans and animals. Samples stored in tissue banks provide opportunities to compare different experiments by using well-defined controls. In science, such comparability is a main prerequisite of reliable results. To develop a world-class clinically annotated bio-sample repository from young and aging canine patients that have been euthanised due to medical reasons. Thus, this research tissue bank will be critical to develop and validate ageing biomarkers. These biomarkers will help to enhance survival by early diagnosis. We hope these biomarkers will enable owners to access definitive treatments for their dogs to help to prolong the life of canine patients. 1. Enable clinicians, scientists and owners to work together. 2. Generate a resource to enable more research for early diagnosis and better treatments for canine patients. 3. Develop a clinical database and a bioinformatics platform. 4. Create an extensively annotated sample repository with biological data to amplify the value of individual biological and clinical study. Support sophisticated analyses on isolated tissues and cell populations e.g., for expression and localisation of novel genes. Make valuable new tools available through research and development. What are we going to investigate? As a first step of our research program we will determine the expression level of certain autophagy genes in the isolated tissues. Gene expression can be measured on the level of messenger RNAs (mRNA) and proteins, and both are important in providing exact measures regarding the cellular changes that accompany aging. A tissue bank has a high relevance in this regard, as due to quick, precise and carefully planned tissue sampling, we could conserve both mRNA and protein molecules, which would otherwise quickly change in quantity and quality after the time of death. Thus, a tissue bank could provide an almost unique opportunity to investigate intracellular processes, like autophagy in dog tissues. We chose autophagy – which is a main clearance mechanism of cells – to be investigated in the first instance, because it had been demonstrated to drastically alter aging in conventional laboratory model organisms. 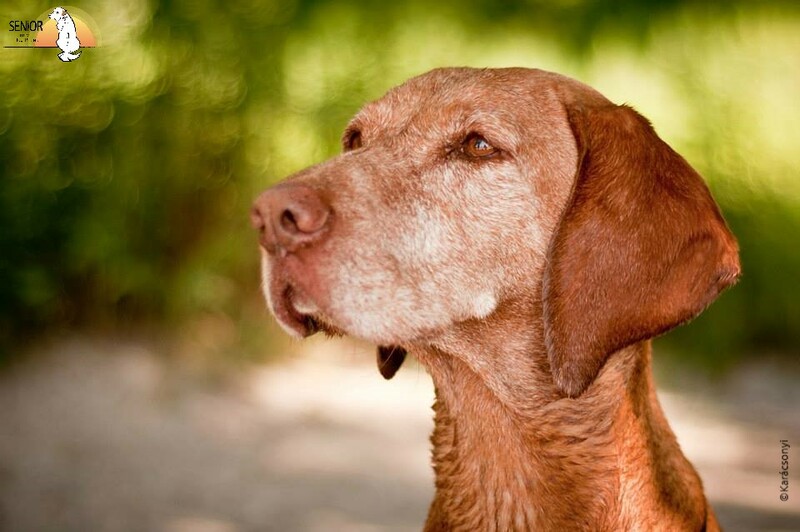 We will principally focus on the mechanisms of aging in connection with studies currently being run at the Family Dog Project, which could tell us more about the behaviour of aged dogs. 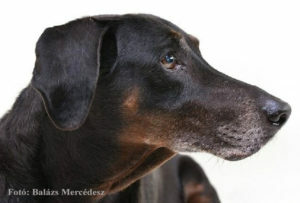 We hope to find correlations between old age dementia in dogs and the structural or molecular changes in their brains. 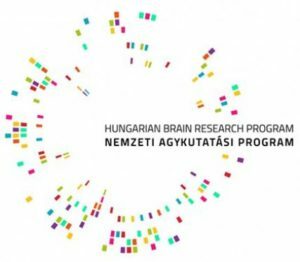 As a further possibility, we could look for parallel age-related changes in different tissues, such as in the brain and blood: based on such results it would also be possible to develop a diagnostic protocol, which could detect the signs of dementia directly from patient’s blood. In addition to these, we have already been contacted by other research groups, who would like to base their investigations on the tissues acquired from our tissue bank. Where will the tissue samples come from? Samples stored in tissue banks are obtained from bodies of animals that were put to sleep due to health issues. The tissue bank created by the Family Dog Project mainly collects samples from euthanised pet dogs whose bodies have been formerly offered by their owners. Family dog owners can offer the bodies of their dogs by filling out a “Statement of Offering” document and contacting the personnel of the Tissue Bank. 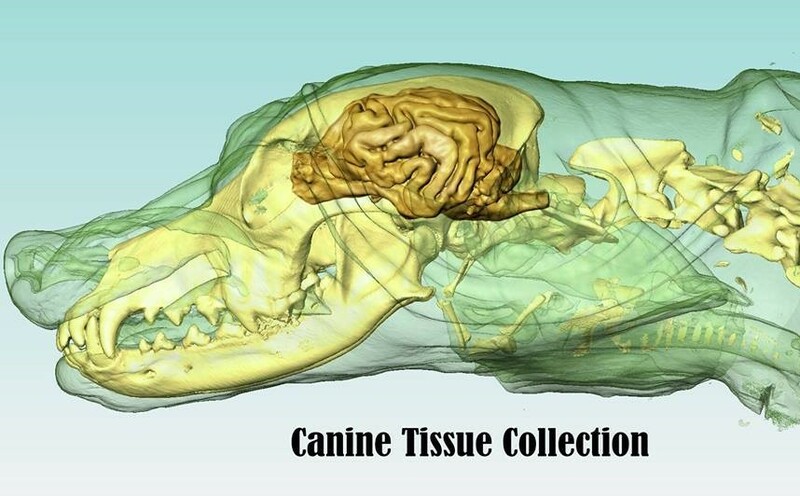 In this regard, the canine tissue bank differs from other facilities, which usually store tissues of laboratory animals, and it shows more resemblance to human tissue banks, including the legislation and administrative procedures required for whole body donation. Currently, we invite offers from Budapest and its surroundings in order to ensure the short post-mortem period necessary to prevent mass degradation of certain molecular components, like mRNA-s.
● How can I offer a deceased animal? The owner of the animal has the right to decide whether to offer the body of the animal. Owners wishing to donate their dogs body should completely fill out the “Statement of Offering” document prior to the euthanasia of their dog, and provide this document to the vet who will euthanise the animal. Following the euthanasia the veterinarian must fill out the parts of the document about the euthanasia and also verify that no veterinary reasons prevent the offering of the body. The tissue bank staff should be notified about the offering before or immediately after the euthanasia. If an owner is willing to contact the Tissue bank regarding a possible offer before the time of the euthanasia, we advise to send us a notification and fill out a preliminary form, so that the Tissue bank can register the expected offer. The accepted notification will not oblige the owner to make the offer, however it helps the Tissue bank to make the necessary preparations if the offer is received. ● What will happen to the offered body? 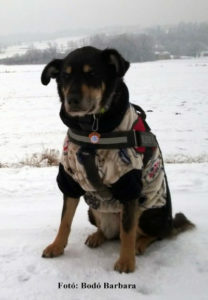 Following euthanasia, the attending veterinarian will immediately notify the Tissue bank, which will then transport the body to the Biology Institute of ELTE, where the basic parameters of the dog (height, weight etc.) will be collected, and samples will be taken from different tissues (such as neural tissue, skin, muscle etc.). The collected samples will be placed in a fixative, or will be frozen in a -80 °C freezer. Following the sampling procedure the cadaver will be handled and eliminated according to the existing protocols and rules. Owners have the opportunity to request the ashes of their dog, which should be indicated on a cremation requesting form at the time of the euthanasia. Its important to note, that the Tissue bank will not perform a full pathological examination and will not provide a result communication document, however we will provide information about findings during the sampling procedure if this is requested by the veterinarian of the dog. ● Do they pay for the offer? No, the offer should be made voluntarily and without any financial remuneration. The Tissue bank, however, will take over the costs of transportation and handling of the body. ● Only bodies of dogs can be offered? 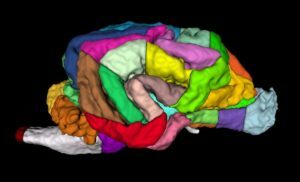 The main research aim of the Tissue bank is to investigate age related cognitive decline in dogs, so currently we only accept bodies of dogs. ● Can the offer be done at any veterinary clinic? – the euthanasia is performed in a clinic that already has a contract with the Tissue bank, and the employees of the clinic are already informed about the aims of the project and are familiar with the procedure. In such cases, employees of the clinic can provide the necessary documents for the owner and they will inform the Tissue bank about the offer. A list of the clinics that are participating in the project can be found here. – if a clinic hasn’t managed an offer before, than the owner of the dog must notify the veterinarians of that clinic about their intention of offering the body of the animal prior to the day of the euthanasia. If the veterinarian is willing to support the decision and provide all necessary information, than the owner should send an e-mail to the Tissue bank informing us of their intention to offer the body and providing the contact of the veterinary clinic where the euthanasia will be performed. Following this, the Tissue bank will contact the veterinarian, to discuss details about the offering process and to provide the necessary documentation to the clinic. ● Can it happen that an offer is rejected? Yes. This could happen in cases where the attending veterinarian suspects an animal health issue, which is incompatible with the offer, or if the Tissue bank staff are not able to receive the body at that time, or if the veterinary clinic fails to notify the Tissue bank about the offer in time (the latter is due to the fact that molecular biology measurements can be performed only within a short time frame as cellular changes progress very quickly after death). ● Can the offer be withdrawn? After the body has been transported from the clinic, the process can not be cancelled. ● Can the owner receive the dogs remains (ashes) after the offering? If the Offerer (the owner) wishes to receive their dog’s remains, they must ask for individual cremation following the sampling process, by notifying the Tissue bank prior to filling out the “Document of Offering”. The Offerer must cover the cost of cremation. If the Offerer doesn’t make a statement about their willingness to receive the cremains (ashes), the Tissue bank will process the body according to current legislation (see decree 1069/2009/EK), and no cremains will be sent to the owner. ● For how long are the tissue samples stored? Depending on the actual research question, some samples are processed within days or weeks, while other samples may be stored for years in appropriate fixatives or in -80 °C degrees until they are utilised for scientific investigations. ● Why might the Department like to contact the owner of a deceased animal? 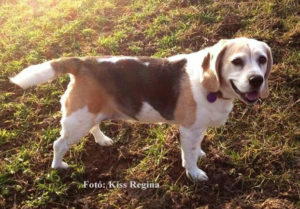 Most of the current research programs analyse multiple factors related to ageing in dogs. For example we are currenlty investigating how behaviour changes with age, so it is important to gather information about the lifestyle, personality, habits and health problems of the dog. Employees of the Tissue bank are available to help with filling out the questionnaire at the Department on request, or owners can fill out the questionnaire online. Personal data used for identification purposes are managed privately and separated from data used for scientific analysis, according to law, and won’t be transferred to third party members. ● How can I be notified about the scientific results? Summarized results of the studies – containing anonymous statistical data, which has been processed according to the current laws and regulations – are published in international and national scientific journals, or presented in newspapers and other forms of media (such as on TV shows, radio talks, and internet articles) produced for the public. 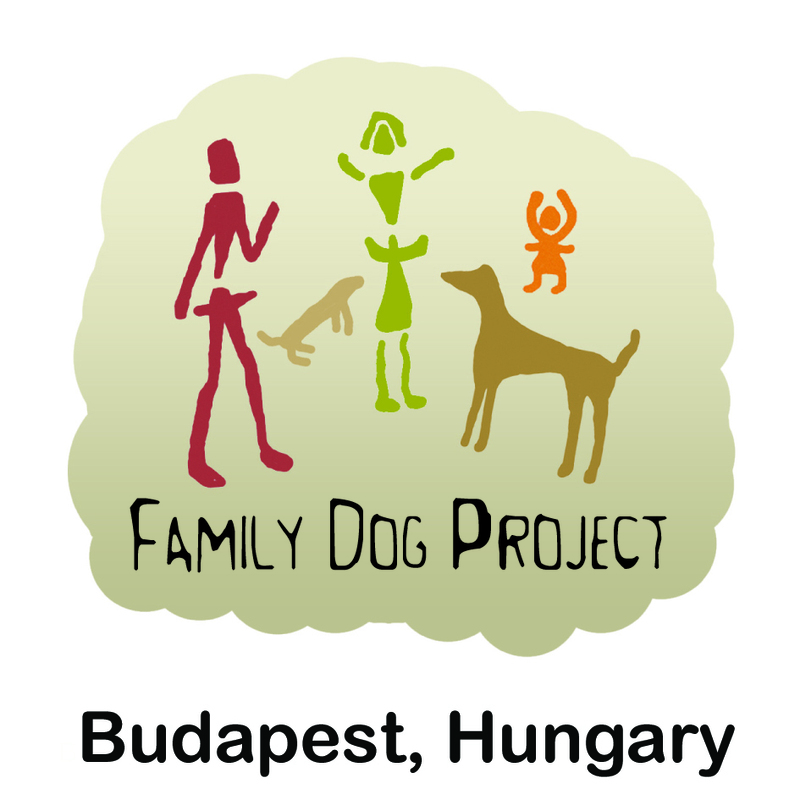 If you are interested in the research programs run at the Department and their scientific results, you should visit the official website of the Department, or check the regular news posts on the facebook page of the Family Dog Project.